To lead excellence, one first needs to exhibit excellence. Before becoming the second President of Al Ghurair University in July 2017, Dr. Alzahabi served as a Professor in the Mechanical Engineering Department at Kettering University in the United States of America. In addition to his position, he also served as the Director of the Office of International Programs (2011-2017), Associate Department Head (2010-2012) and Director of the Mechanical Engineering Graduate Program (2004-2006). Dr. Alzahabi attended advanced training in Higher Education Leadership & Management at Harvard Graduate School of Education in 2012 and 2015. At Kettering University, he provided significant and vital institutional and departmental leadership related to curriculum development, improvement and assessment. These contributions were critical to Kettering receiving consecutive 6-year accreditation NGR (Next General review) ratings in two ABET review visits in 2003 and in 2009. In addition, he is a highly recognized educator who won numerous educational awards. These include the ‘Educational Scholar’ award, the ‘Professor of Excellence’ award, the ‘Professor of the Year’ award and the Greek Life ‘Faculty Advisor of the Year’ award. In parallel to teaching excellence and maintaining his extensive departmental and institutional leadership roles, Dr. Alzahabi maintained a high level of technical research activities and industrial consulting that resulted in $1,500,000 of external funding and 45 technical and educational publications. He has been a member of the Editorial Board of the International Journal of Multiphysics since 2012. Nationally, Dr. Alzahabi served as a reviewer for the National Science Foundation ‘Assessment of Student Achievement’ (ASA) Program proposals in 2001 and 2002 and attended multiple national conferences and workshops on curriculum development, assessment and ABET Accreditation. 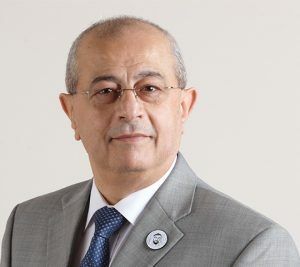 Internationally, Dr. Alzahabi participated in collaborative research and educational activities with multiple international institutions, including the Technical University of Belfort, France (1999), Wessex Institute of Technology, England (2004), Alhosn University, Abu Dhabi, United Arab Emirates (2010), Balamand University, Tripoli, Lebanon (2010), the University of Maribor, Slovenia (2005 and 2013), the University of Modern Sciences, Dubai, United Arab Emirates (2013) and the University of the Arctic, Tromso, Norway (2017). Dr. Alzahabi conducted technical training to the automotive industry in the United States (General Motors, 2003-2006), South Korea (Hyundai, 2000-2001 and most recently in China (SGMW, 2014-2017). Before joining Kettering University in 1998, Dr. Basem Alzahabi had 11 years of extensive industrial experience in the automotive industry at the Ford Motor Company, Optimal CAE Inc., Novi, MI and Automated Analysis Corporation, Ann Arbor, MI. Dr. Alzahabi holds three graduate degrees from the University of Michigan-Ann Arbor: a Ph.D. in Structural Mechanics (1996), a M.S. in Applied Mechanics (1988) and a M.S. 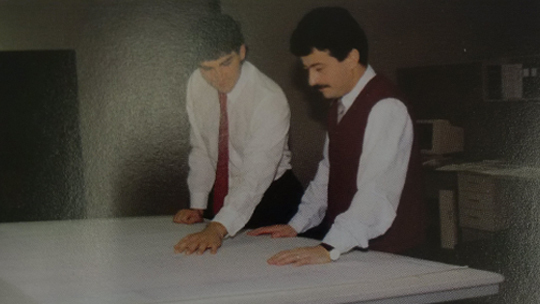 in Structural Engineering (1986). He obtained his undergraduate degree in Civil Engineering in 1981 from the University of Damascus. President Alzahabi, along with the AGU Board of Trustees, is developing an ambitious vision for the future of the university. He hopes to lead AGU into a remarkable academic and physical transformation. Dr. Alzahabi and his wife, Sana, live in Dubai and have four adult children who currently reside in the United States. In addition to being an active teacher at AGU, Dr. Alzahabi is an avid reader and sportsman with a love for the pursuit of knowledge. ALGHURAIR UNIVERSITY, which was established in 1999, is a private institution founded by the well-known Al Ghurair Group. AGU has is a community-oriented institution that seeks to serve the United Arab Emirates (UAE) and the wider Gulf Cooperative Council (GCC) by graduating industry / market ready individuals who are equipped with the knowledge and skills to sustain the region’s continued development. Since its inception in 1999, AGU has always been responsive to the dynamic needs of the local, regional and international markets. AGU is licensed by the UAE Ministry of Education (MOE) and offers is ten programs at undergraduate level (seven in English medium and three in Arabic medium)and all of its programs have been granted accreditation by the Commission of Academic Accreditation (CAA). Internationally, AGU has acquired ABET accreditation for its Bachelor of Science in Electrical and Electronics Engineering (BSEEE) program and currently started the process to have ABET accreditation for all of its Engineering Programs. The College of Business has also started the process to have the Association to Advance Collegiate Schools of Business (AACSB) accreditation for the Business Program. AGU is committed to provide and maintain high quality infrastructure and support services. To fulfill this commitment, the University offers such services to students, faculty, staff, and the community through a network of departments and units including Student Recruitment & Admissions, Registration, Student Services, Library, IT, Career Planning and Placement Services, and Continuing Education, Training, and Consultancy. The website aims to provide AGU current and future students with important basic information on the university academic programs. However, I encourage students to contact the colleges’ deans or the departments’ heads whenever they have questions or inquiries.